If you remember last year around August, I entered a Fitness contest where I competed in Men's Physique. Well I did fairly well and placed 1st in two divisions, Masters and Open. What this means is I am now qualified to compete in my local Provincial Finals this year which is coming up in less than two weeks. The event is called the Vancouver Pro Am and it will be held in Vancouver BC Canada. To get to the point, my contest prep especially the last couple of week is fairly taxing on me physically and mentally, it also takes up some of my time. So my videos may not be as regular and they may not be as put together since my mind is not working 100% right now due to the lack of food and carbs I am not eating ;) Anyway I will do my best! You can follow my Fitness journey over at www.GetFitOver40.com. 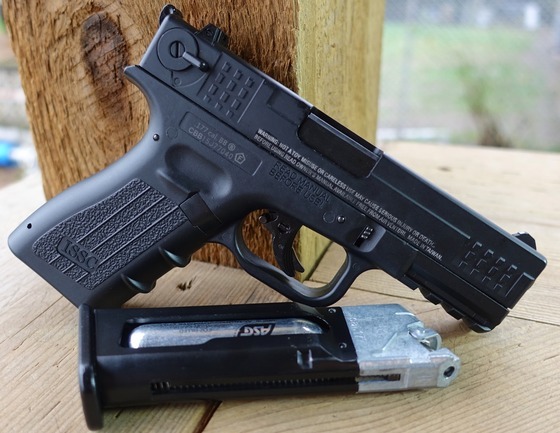 I also talk about two new Sig products I will be picking up next week to review, the Sig Sauer P250 and Sig Sauer P226 CO2 Blowback Pellet Pistols. I hope to at least have a preview video for you later on next week. Lastly I am working on a couple of Field Test Shooting videos that I have needed to pump out, one is for the ISSC M22 CO2 Blowback BB Pistol and the other is for the Sig Sauer MPX .177 Caliber Pellet Rifle. Barrel: 4.17 inches, metal rifled. 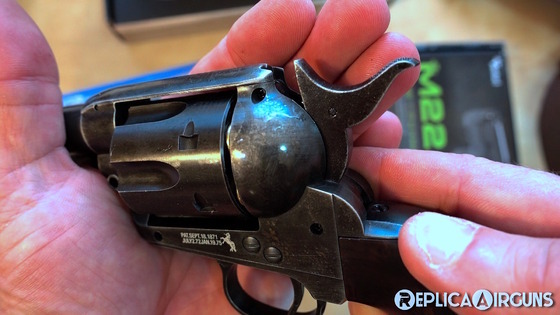 Action: Semi auto, single action. 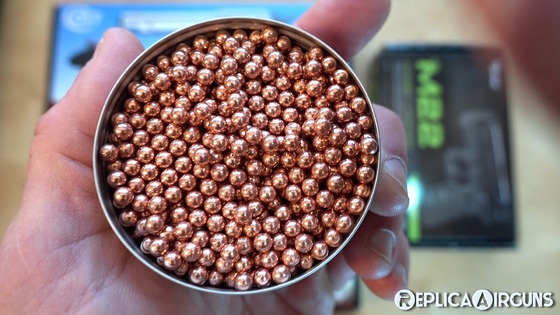 Ammunition Type: .22LR caliber rimfire. Ammunition Capacity: 10 round magazine. Accuracy: I put about 500 rounds through the ISSC M22 and took some time getting used to how it felt and also shot several groups on target before I did my final test group. I shot two full magazines (20 shots) and most of my shots (17 out of 20) landed within a 3 inch group from 10 yards out (30 feet). I was shooting in a standing unrested position using the open sights unadjusted and my grouping was well center but just a tad bit high. I was very happy with these results. 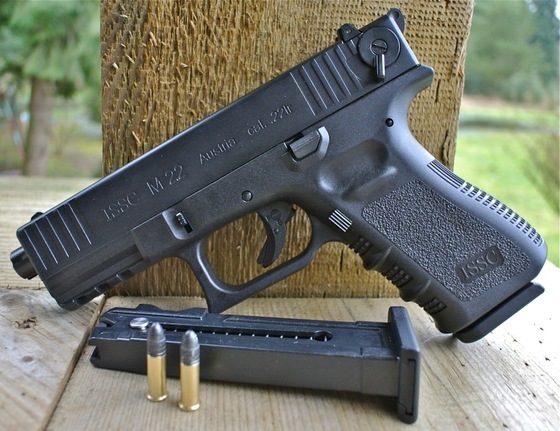 Build Quality: The ISSC M22 is a very well made pistol in just about every way. 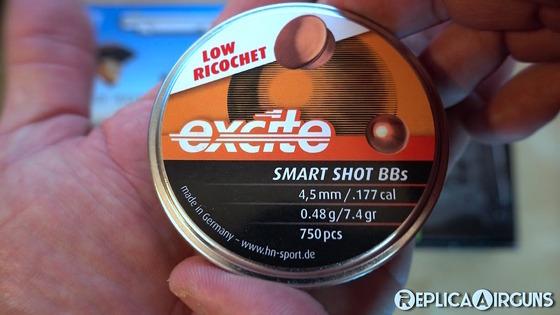 The materials are very good and the fit and finish is excellent. There is nothing cheap about this gun and even after over 500 shots through the M22, it still looked brand new (after a well needed cleaning of course) with barely any wear marks to speak of. I especially liked the solid aluminum magazines. 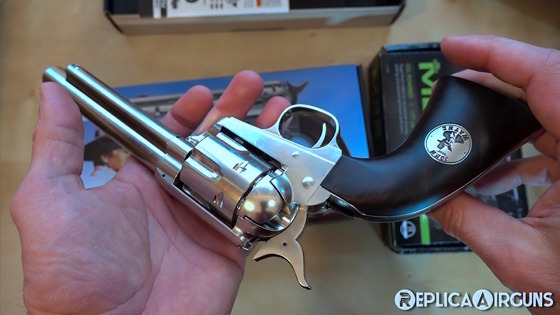 I have no doubt this 22 caliber pistol will last me for a long time. Realism: The ISSC M22 may not be a bang on copy of a Glock but it certainly looks the part with only a few exceptions like the rear hammer, safety and fixed internal barrel. 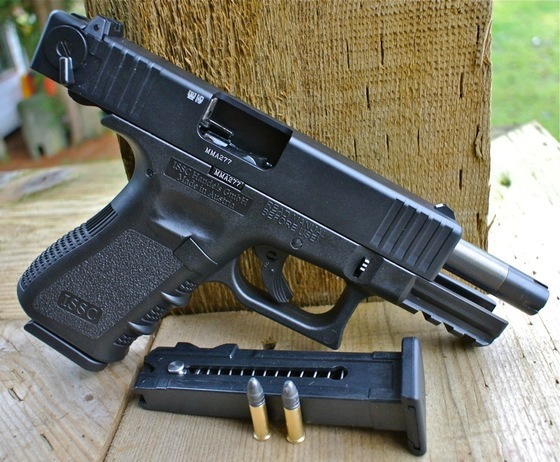 I have even heard you can use real Glock accessories with this semi auto pistol! Even the kick kind of surprised me, I was using high velocity 22LR rounds and they gave me a nice crisp recoil that of course was not as hard as a 9mm but never the less it was enough for working on double taps and rapid sight acquisition. 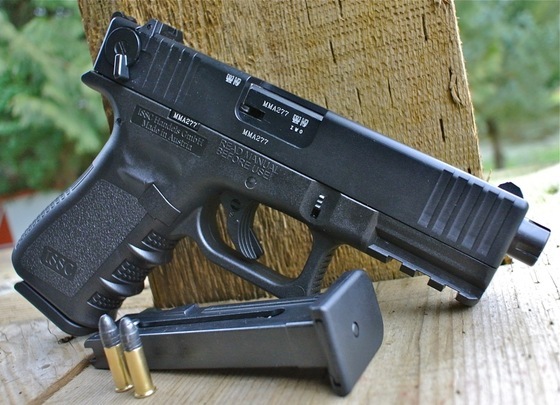 Inexpensive to purchase and shoot but still has that "Glock like" look and feel. Came with two 10 round magazines. Very well made - no quality issues as far as I can tell. Accessory rail under the barrel. Very usable sights similar to a real Glock. (also fully adjustable). Similar trigger safety as a real Glock. Very easy to take down and clean. Nice compact and light weight. Similar dimensions to a Glock and may work with many of the same accessories. Made in Austria like the Glock. Can come off of safety kind of easy. 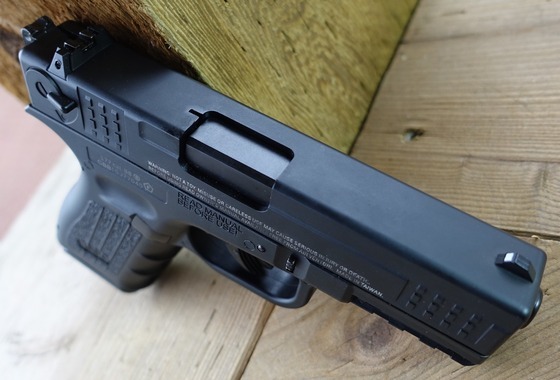 Some Glock users may not like the external hammer and safety setup? Some people have commented on it being a bit picky with certain ammo and the trigger being a bit edgy. 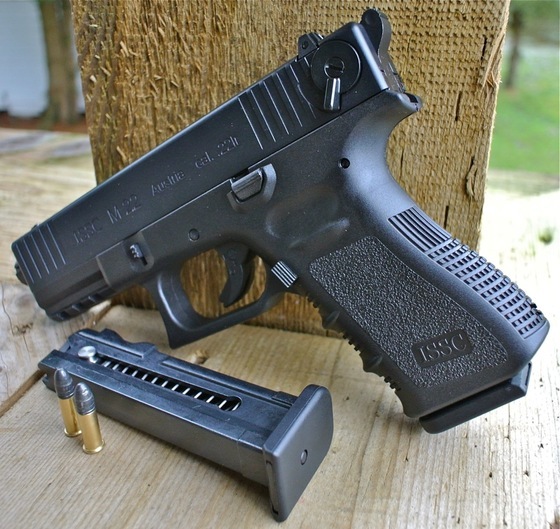 I really fell in love with the ISSC M22 22LR Glock copy. I know this gun is going to get a lot of use and to be honest I'm not even worried about it. 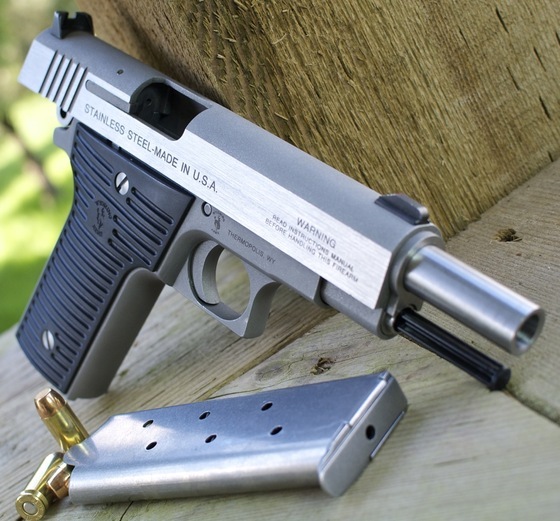 With the low cost of 22LR ammo I will be shooting this gun more than any of my other pistols simply because it's totally fun, and gives me almost the exact same experience as my larger caliber semi auto shooters at about 1/10th the price to shoot. I'm pretty sure I will even get out to the range more often knowing that I can shoot the entire day for about $20! I found the M22 to be reliable, accurate and comfortable while shooting so as far as I'm concerned the ISSC M22 is a real winner! Today I bring to you a quick preview of my ISSC M22 Glock Copy in 22LR and also my Chiappa 1911-22 1911 22LR Copy. 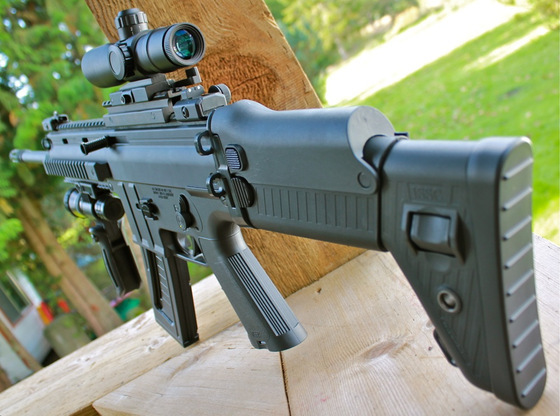 You may also remember the review I did a while back of the ISSC MK22 SCAR styled 22LR. 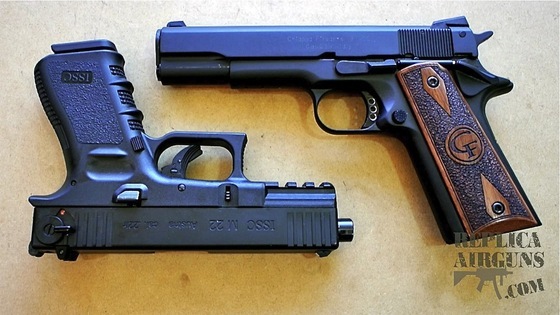 I took both these guns to the gun range and put several hundred rounds through them and by the end they where both shooting very reliable using inexpensive box Blazer 22LR ammo. I stuck with this ammo because it seemed to be working well. 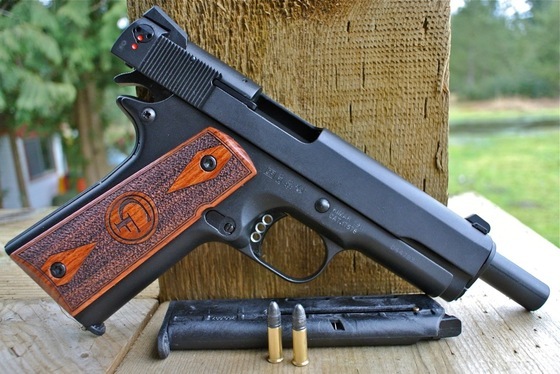 The Chiappa 1911-22 was a bit pickier at first but I think it was mainly to do with a rather stiff magazine spring, making it difficult for the first couple rounds to chamber, again most of this sorted itself out by the end of the shooting day. My ISSC M22 really performed well, the slide was a bit tight at first creating a few failures to chamber and eject but after a few magazines it settled right down and would hammer through all 10 rounds with no problems. I am really loving this little 22LR Glock replica! 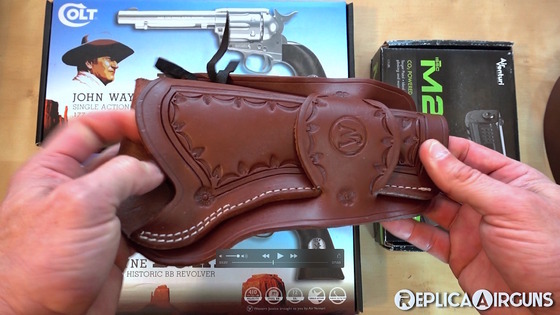 Stay tuned for my full reviews on both of these guns and enjoy my YouTube preview video for now! Good things come in pairs so I figured I'd get a Glock 22LR to go with my 1911 22 LR and since I already had another rather nice ISSC 22LR product the ISSC MK22 SCAR 22LR I picked up something familiar and went with the ISSC M22 22LR Glock-Styled semi auto pistol. 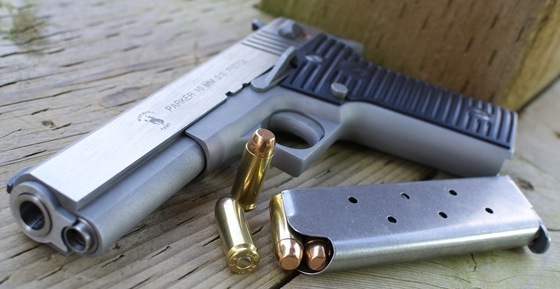 From first inspection it is really well made pistol, very similar in design to a Glock but with a few differences like the hammer and safety but still close enough to satisfy many large caliber Glock shooters. I am looking forward to shooting this one for sure!